On Monday April 15th, two bombs exploded next to the finish line of the Boston Marathon. Two suspects were identified: Tamerlan Tsarnaev, 26, and his younger borther Dzhokar, 19. Boston police led an extensive manhunt in the city during the past few days which led to the killing of the elder brother and the capture of the 19 years old brother. 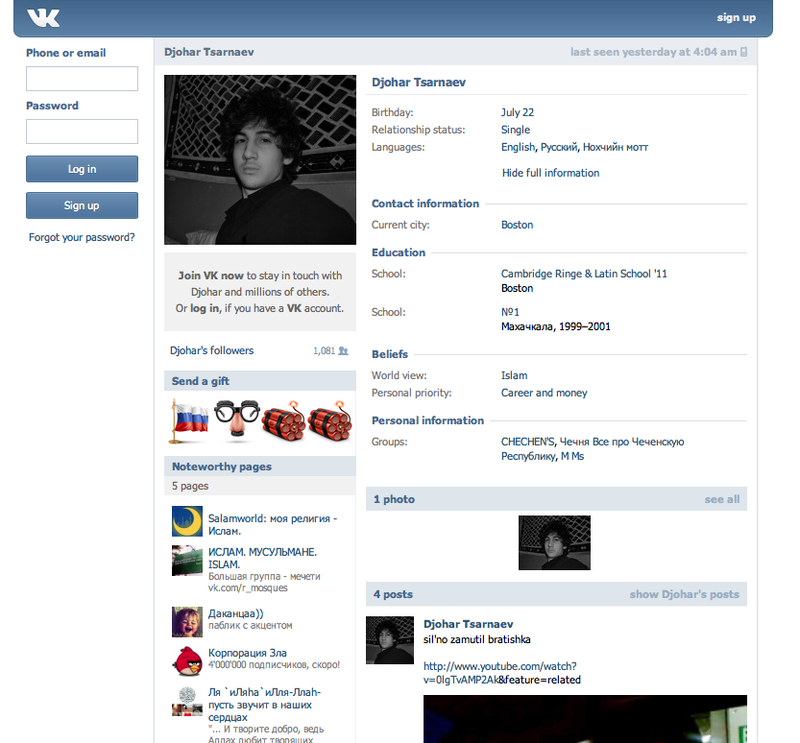 You can find many personal accounts in the name of the Chechen Tsarnaev brothers on social media platforms but, many of them are fake. In the mean time, classmates and friends of the suspects confirmed the authenticity of few accounts that you can see below. A Dagestani, a Chechen, and an Ingush man are sitting in a car. His tweet two hours after the attack. One of his tweets the day after the event. His reply to one of the victims picture. His tweet two days after the bombing. 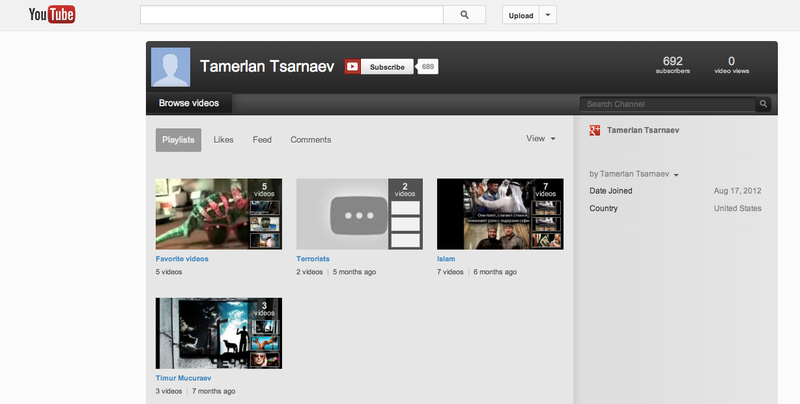 The only official account of Tamerlan Tsarnaev to be verified is his YouTube channel on which we can found playlists entitled “Terrorists”, “Islam” and “Timur Mucuraev” (A Chechen singer). Next Post The New Evian Babies Ad: Inspired From A Tunisian Ad?